Today, I had to keep my mouth SHUT!!!! I might even incriminate myself with this blog post because as I have said my blog is not a secret and it is being read right now that I am WORRIED about my room!!!! My classroom is tiny and we have no wall space...meaning there is no room for all of these anchor charts I am making. I look around at all of the other learning evidence they say I should have. HIVES, HIVES, HIVES!!!! STRESS, STRESS, STRESS!!! Let me pull out my sleeping bag and plan a sleepover in my room. That is the ONLY way I could get it all done!!! I either find myself worrying, not sleeping, getting stomach ulcers and living in a state of freaking out or in the corner in the fetal position rocking and saying "Welcome to Wal-Mart." Then, I was reminded today of something that is not "evidence" on the wall or on a piece of paper. One of my kiddos told me he was going to add me a helpful heart for loving him even when he was making bad choices AND also for not letting him get away with that behavior. My other children then (without my saying ONE word) celebrated him for changing his choices. I forget sometimes that something special IS happening in my room with the way my children celebrate and encourage each other but also how they learn to handle conflicts. They talk to each other about making eye contact, speaking clearly and using a kind tone of voice when working out a problem AND we learn about offering forgiveness....and yes, we still have days where they are toots!!! I must remind myself that my room could be a place where touching a child's heart could touch their life forever. 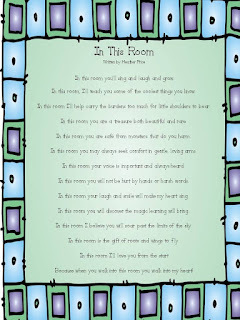 Please take a moment to read this poem and think about your room. Now to the bugs! We have had ants this year. Several months ago in a reading group a flea jumped off of a kid and then he started scratching his head and another flea jumped onto his book. Last week one kiddo started saying "La cucaracha, la cucaracha"....someone had a roach crawl out of their backpack or it was hunting for crumbs someone dropped from the FUN and I KNOW YOU ARE JEALOUS OF ME Breakfast in the Classroom.....who knows??!!!???? Thank heavens that we have not had lice. These bugs though are CUTE! 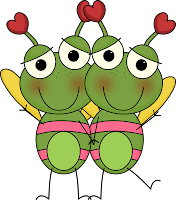 I hope you enjoy this math game with the Love Bugs! Now about the giveaway I am loving! 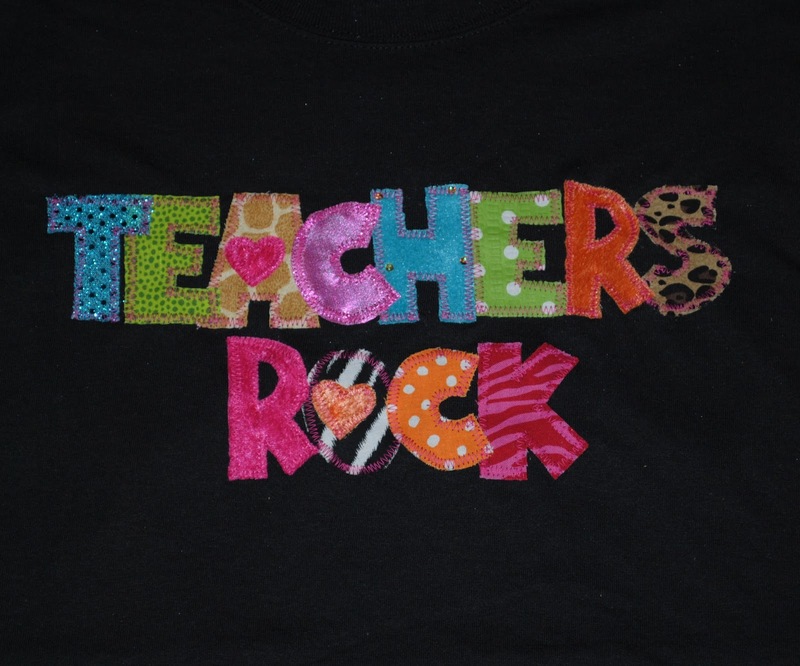 Here are some pictures of the shirts that Sewing Sassy can make if you win my awesome giveaway! Go check out the giveaway here!﻿ I have a HUGE surprise for Wednesday. One of THE blogging queens is helping by giving away 2 units from her TpT store. You won't want to miss out on this! Please leave me a heart note if you want to show me some love or to let me know you appreciate the *freebie*! They make my heart smile! Aww poor thing. Loving that the kiddo gave you loves :) He must of sensed you needed it! LOVE, LOVE, LOVE the poem! I'm posting in my room, tomorrow, ASAP, like as soon as I walk through the door! Thank you so much for sharing it. Forgot to thank you for the cute game...Thank you! You just call me (or bloggy comment me) ...but I will give you my real life number if you want!! I know I am not alone when I say we need you here Heather every day! You vent when you need to, if you can't vetn to fellow teachies who can you vent to? and sometimes I think that is the best way to get it alllll out! You are doing amazing work...and I KNOW the feeling and share your worry gene but...you can ONLY do what you can do each day. You still have to make time for you away from school, too! Love you sweet bloggy friend! I am hugging you SO HARD right now and squeezing your guts, can you feel it?? Thank you for posting this poem. I had to print it out as I reminder of what I hope my classroom is to my first graders. Thank you! ugh...breakfasts in the classroom....and girl...no worries!! !I know it's hard not to worry - I do it all the time too...unnecessarily. BIG HUG!!! Aw, you sweet girl. You need to try and relax. Like I tell my kiddies... if you are doing your best... no need to worry. Trust in yourself and your abilities; which are obviously amazing - your little one made that perfectly clear, right? Right! Breakfast in the classroom? I just don't get that. There isn't a cafeteria or a more "food friendly" area for those kids to eat? I would not be able to handle the bugs. I feel for you. With a title like "hives and bugs" I had to read this post. That story about your little guy thanking you for helping him and loving him is sooo sweet. It sounds like you don't need to worry so much if your students love you that much. What lucky kids to have someone so concerned about them. Thanks for sharing the game too. Hey! I get hives all the time, too. I kind of figured it was stress-related ... but didn't directly connect it to teaching -- ha ha. Hang in there. I'm sure you're doing an amazing job! Thanks for the extremely cute game! Also, I posted about your math game freebie. Thanks again for sharing it. We all worry from time to time, and teachers do it more than most - it's because we care about doing a good job, care about doing things that will nurture our kiddos not harm them, and most of all care about the kiddos in our charge. I love the poem Heather - really brings it all home. It is because of your blog that I started teaching my kids to "be a cheerleader" and I can't thank you enough. I really started to enforce it after a rough couple of weeks with my little darlings. Everyday we read a poster I made off of Pinterest that says,"Yesterday is over. All your slip-ups are forgiven. The score is zero. Make today positive.". The change that this has made in my classroom environment is unbelievable. My behavior problems are down, they are constantly use kind words and helping each other out. Thank you for being our cheerleader. We all have those days, hang in there. Oooh you made my eyes tear up because I feel just like that with my class. We've got to love them through bugs and breakfast. =) Thanks for the freebies! Have a Terrific Tuesday! Ah Heather! I think worrying is a sign of how much you care or at least that is what I keep telling my self. I love the poem & pinned it for safe keeping. Now... ants. Did you know they hate cinnamon? they will go around it to get away from it. I drew a line with it round my house and bye-bye ants! Although I think some of your other friends might like it.UGH! Sending you prayers & hugs! I am going to share your poem with the teachers in my school! Thank you, it is a wonderful poem! Love this poem!! It made my day! Thanks so much!! I worry a lot too. We just have to remember to take a deep breath sometimes. I just found your blog yesterday and I think you are amazing. I would love to email you if you will send me your addy. You inspire me! I love your blog! It is so cute. We had ants last year. I spent a whole 10 minutes on what to do when you see one. (Freaking out, yelling, and jumping around room are not good repsonses) So far they have not visited us this year. About those worries,remember to "Trust yourself. You know more than you think you do." It's a favorite quote of mine. (Benjamin Spock, the baby doctor). It's so easy to judge ourselves harshly, but whenever I follow my gut instincts", I always feel better. I thought that was a mother's and teacher's job..to worry! Thanks so much for the freebie so cute. Thanks for the freebie!! Super cute! And FANTASTIC poem! How am I just now finding your blog? I'm a worrier too! You are awesome and keep your chin up and keep doing all the wonderful things you do! You are awesome and amazing and I am grateful that I found your blog! When I read it I realize I am not alone! Many of the things you write about make me feel like you are peeking in my classroom or are reading my thoughts exactly!! I am a huge worrier! I too, could "live" in my classroom. My husband always knows that if I am not home at a certain time he just drives over to the school and there I am engrossed in some project for the classroom! I am sending you a great big Heart HUG!! Heather I love that poem!! So beautiful, heartfelt and true! How sweet of your kiddo! I love reading your blog. 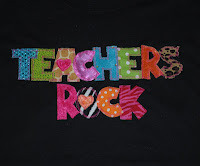 It is so cute and I love reading about what you are doing in your classroom. I am a worrier too! I don't think I could get it all done even if I lived in my classroom!! I love your beautiful poem! Thanks for sharing your Love Bugs freebie!